Newly completed house in Berkshire which is looking good in the snow. 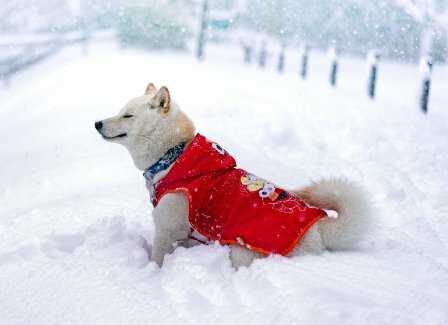 Dog not included. Planning consent in historical conservation area. 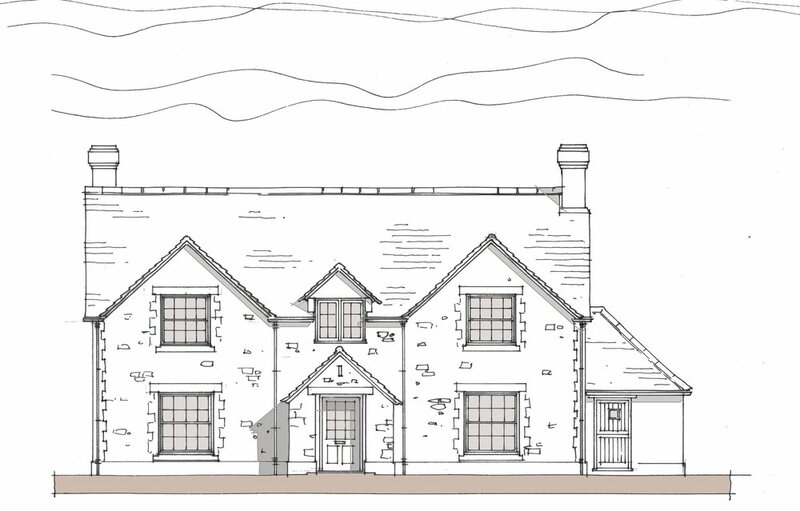 A hard-fought planning consent has recently been achieved for these two dwellings in a small historical hamlet near Swindon. One is a replacement dwelling for an existing 'tired' house, and the other is a substantial barn-type house that replaces a redundant modern agricultural barn. Planning consent was recently granted for this contemporary-style split level cottage on a steeply sloping, edge of village location. Very pleased to see that our client's development of five family houses is coming to fruition and selling well. Potential clients often ask what type of work do we undertake, so I thought it might be helpful to give an overview of our work in housing. we design new homes for all tastes, modern, traditional, eco-friendly, and probably most important, family friendly. We take into account the site and maximise its potential so that clients can feel that they have the house they want that suits their needs and looks great! 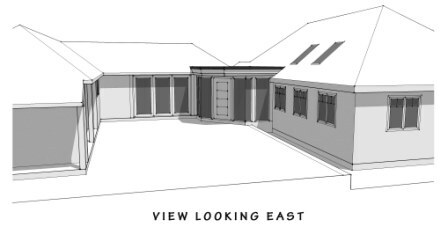 we design exciting extensions which enhance the the existing building and add value to the property. we add basements, attic rooms, granny annexes, disabled needs extensions, swimming pools, tennis courts, stables and games rooms. we convert barns into wonderful family homes. We have a wealth of clients who will endorse my statements above. Contact us and we can always get a reference from past clients . We also undertake commercial work, residential developments, medical centres and a great deal of equestrian work. 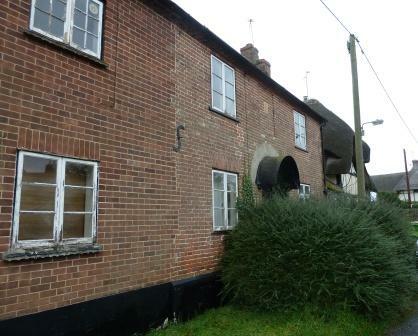 New house gains planning permission in Sherborne St John. ‘we found you both very creative and professional which combined with your friendly and supportive personality meant that working together with you was a great experience and hence producing a great design’. Detailed planning permission was granted by Wiltshire Council for a replacement dwelling plus garaging and annexe accomodation on a very sensitive rural site. Our very happy clients are intending to build their new home this year. 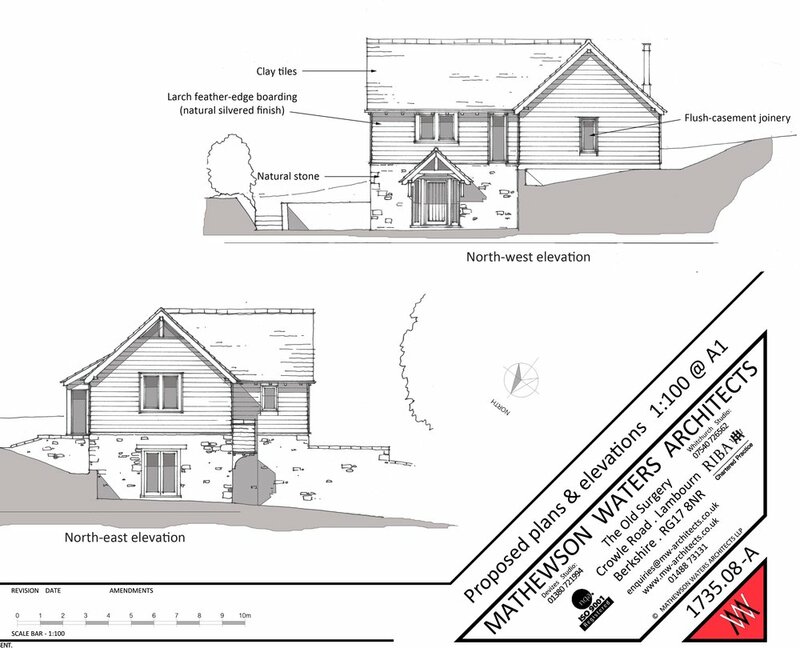 The images show the existing chalet bungalow and the proposed principal elevation. The Lamb Public House became redundant in the early 2000’s, slowly deteriorating, remaining uninhabited until recently when MWA gained consent for a change of use to a veterinary practice headquarters. Conversion of the building was undertaken by a local contractor and Lambourn Equine Vets moved in on schedule earlier this month. 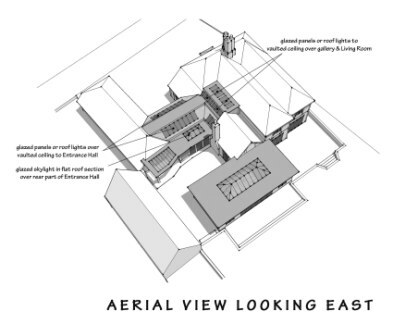 Our brief initially was to obtain consent for a barn conversion at the edge of their property with a view to marketing the barn with the benefit of planning permission for the purchasers to convert. 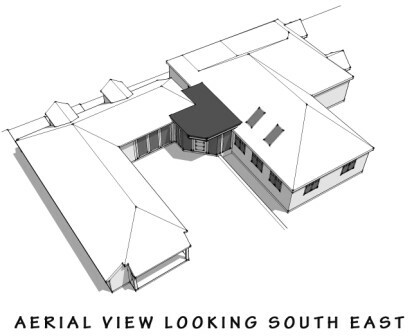 Subsequent to gaining planning consent, we had computer generated images created to illustrate the completed conversion - having seen the result, our clients have decided to sell their house and carry out the barn conversion for themselves. We have had some photos taken to celebrate 30 years in business of our staff and partners. We would like to thank all our staff over the years and especially all our clients for helping to make successful buildings in Berkshire, Hampshire, Wiltshire and Oxfordshire, plus a few further afield including the Isle of Harris in the Outer Hebrides! We have just achieved planning permission for our clients for this change of use. The NW half of a former Victorian school had various incongruous additions and was in need of restoration and renovation. This provided an opportunity to also reconfigure and extend the property to take best advantage of its setting. Work was completed in late 2016. We thought it was about time to blow our own trumpet and celebrate that in 2016 we achieved 75 planning approvals from West Berkshire Planning with only 5 refusals! Not bad going! We also have a fantastic record in Wiltshire and Basingstoke & Dean. Extension to a house within the Conservation area.